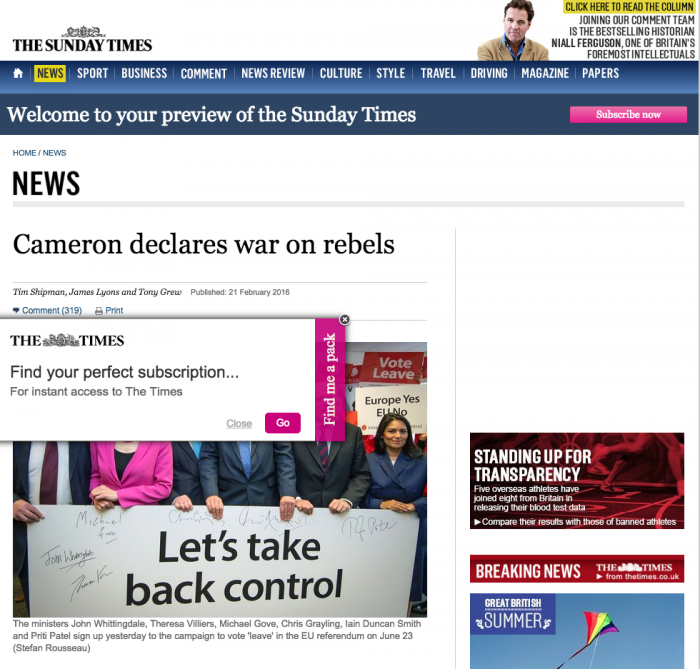 The Sunday Times uses a few different methods to entice readers to subscribe – all centering around it’s leaky paywall. Hop on over the this article: “How The Sunday Times ramped up its focus on subscription monetization” to see how they’ve made monetization their #1 focus. The most profitable metered paywall. Period. Publishers using Leaky Paywall are enjoying immediate visitor growth and new subscription profits. Our WordPress powered publishing platform promotes effective digital strategy and delivers new paying subscribers. With an industry-leading metered paywall, award-winning issue publisher, ready-to-go iOS and Android apps, and our revolutionary hands-off ad platform… We make digital publishing easy and profitable.